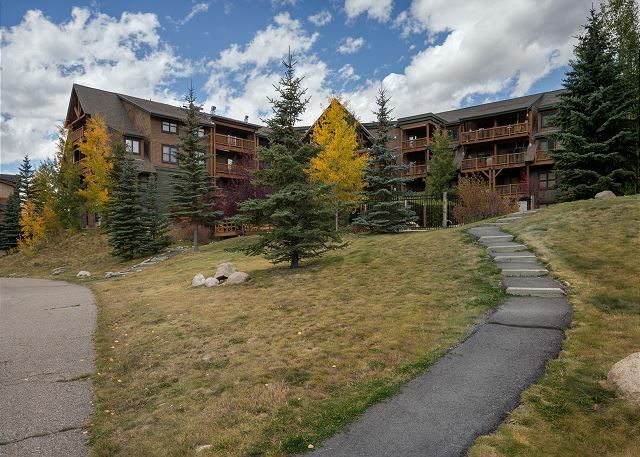 This 1,286 square foot 3-bedroom, 2-bathroom condo sleeps nine and features beautiful views of the the slopes and Snake River from the private balcony. 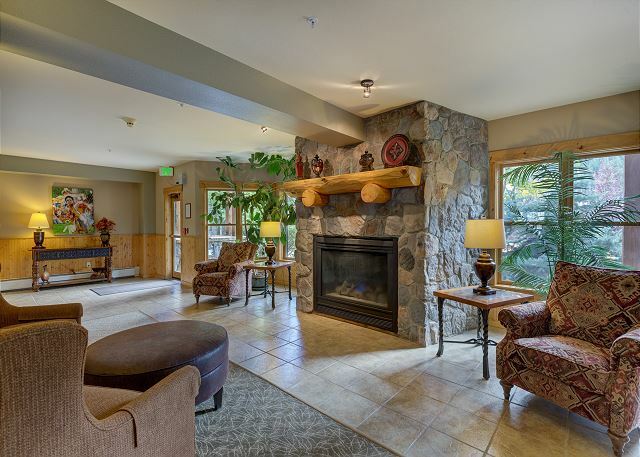 Walk to the lifts or take the shuttle and be anywhere in the resort within minutes. The spacious entryway offers mounted hooks for your convenience while coming and going throughout the day. The living area features vaulted ceilings and slope views through the balcony sliding doors. Cozy furniture is arranged around a flat screen TV above a beautiful gas fireplace. 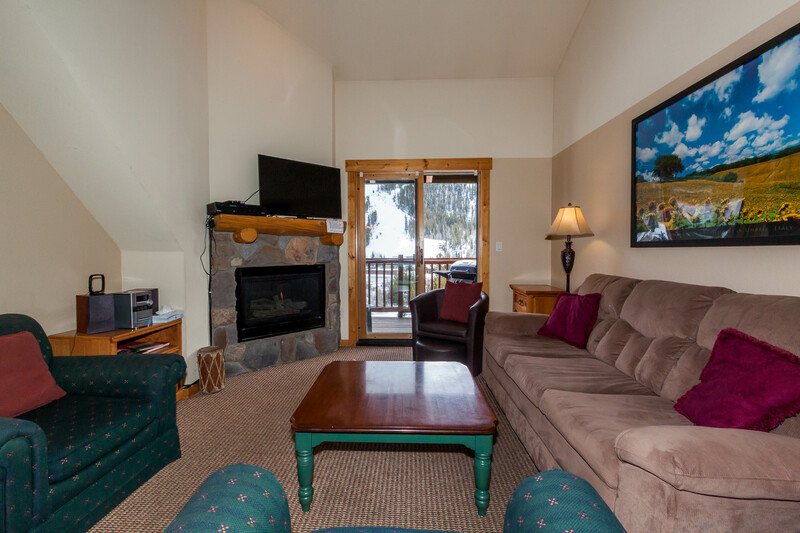 Just off the living area is access to the private balcony offering views of the ski slopes and Snake River. 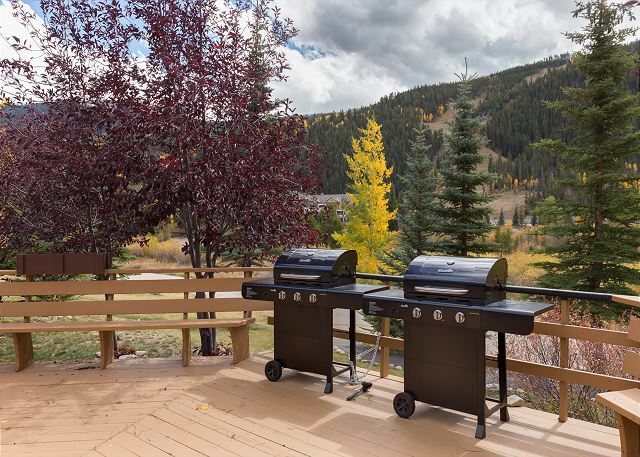 There’s also a gas grill for additional cooking options. The full-sized kitchen is stocked with all the essential cookware and tableware to make a meal away from home and features a breakfast table. The dining area is set apart from the kitchen and comfortably seats six around a wood table with forest green chairs. The private washer and dryer are tucked away into a closet in the kitchen. For your convenience laundry detergent is provided. 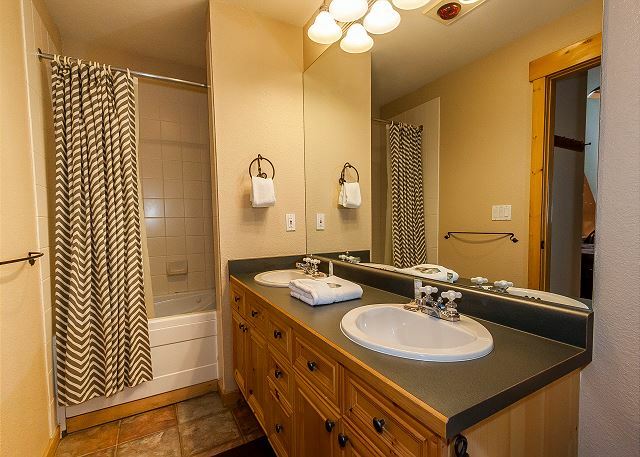 Just off the living area is the first of two full bathrooms and it has double sinks and a shower/tub combination. All bathrooms are stocked with towels and an initial supply of toiletries. 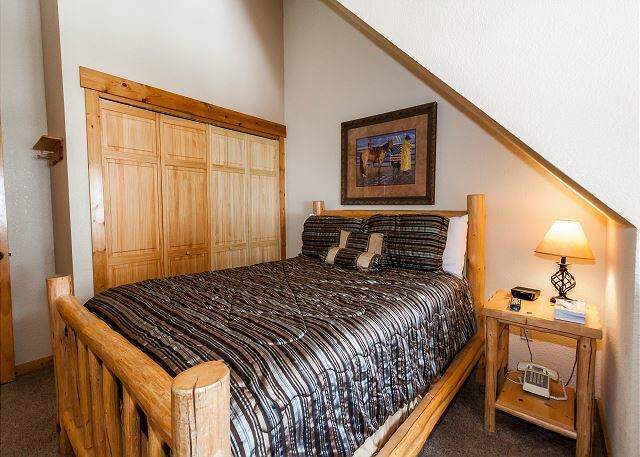 The master bedroom features a queen-sized bed, vaulted ceilings and a mounted flat screen TV. Enjoy the slope views from the window or take advantage of the dedicated workspace with a desk and chair. 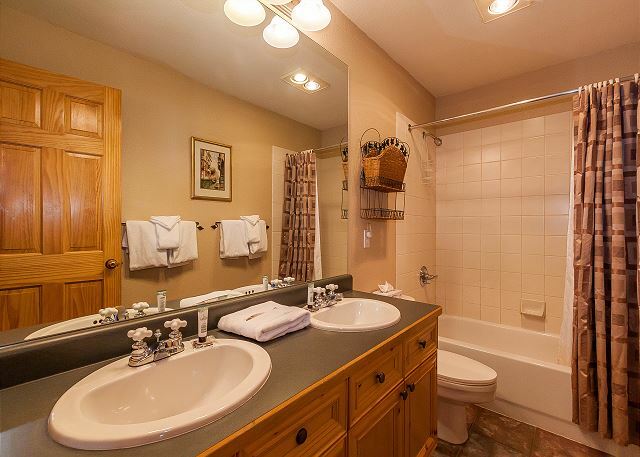 The en suite bathroom has double sinks and a jetted tub with shower. 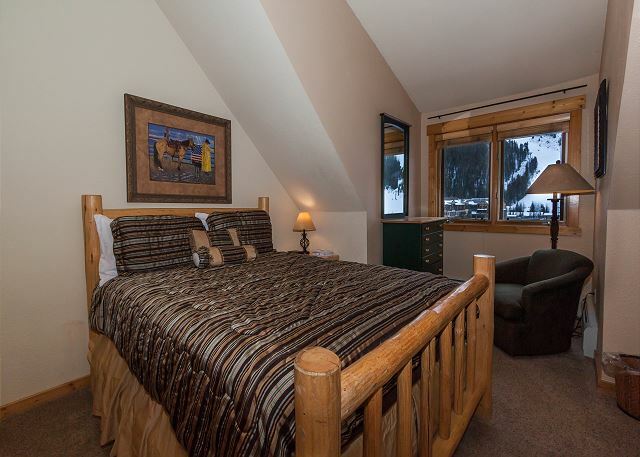 The first guest bedroom features a queen-sized bed, a mounted flat screen TV and slope views from the window. The second guest bedroom sleeps five with twin-over-twin and twin-over-full bunk beds. There is also a television. All beds have memory foam toppers for added comfort. Impressed with the cleanliness of the property. Well stocked kitchen in terms of plates, silverware, pots and pans. Great location. We will stay again! Short walk to Mountain House to pick up rental equipment and hop on the lifts. A couple restaurants in walking distance too. Unit needed some fresh light bulbs/plates, bowls (chipped) but other than that clean and comfortable. We really enjoyed our stay at this condo. The location was really convenient and we enjoyed being able to walk to the ski slopes and come back for lunches. The space was perfect for our family and our friends that stayed with us. The only downsides is the drying machine is on its last legs and would have trouble drying a load without overheating which meant it took multiple hours to dry clothes. Other than that we really liked the place. I loved this place! I could live here. Very spacious, large kitchen, comfortable rooms and beautiful view. I stayed here with my aging parents. Easy access to the elevator and parking garage. Could not be more pleased. Awesome Condo! Small but large...:) Perfect! Great stay! Wonderful...but for two issues. Coffee pot did not work, and the hot tub lock had been changed. My unit rep got the resort maintenance guy to open it. Interestingly the unit and resort maintenance were two different companies. Thank you for staying with us. We provide 24/7 maintencne services. We are always happy to bring out coffee makers or any other item that is needed. 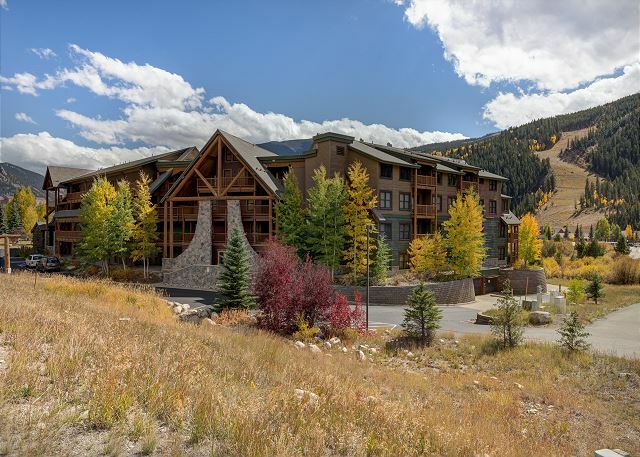 Summit County Mountain Retreats manages this condo. The building is managed by a different company. This is common in Keystone. Location was great, walk or drive to slopes. Unit was comfortable and pretty clean. Plenty of dishes and cooking items. First let me say the location was outstanding for a ski vacation with teenage boys. Also the unit was very cozy and clean. The ONLY complaint I had was with the bed in the master. I spend about 10 nights a month on the road, so I'm use to sleeping in strange places. But this bed should have been replaced years ago! I could feel every spring and the mattress sunk in towards the center of the bed. Fix the bed and it's a 5 star for me! We appreciate the feedback. We will pass it along to the homeowner. We're glad you enjoyed your stay otherwise and hope to host you again! We had 7 people and were able to all bunk down quite comfortably. The bunk beds could use tightening up due to squeekiness but otherwise no complaints. Couch was comfy. The location was awesome. The walk to the resort is about a 5 min walk. Loved the parking garage! Condo was in great condition. The only problem was the hot water in the master bath didn't work all the time. I would recommend to stay here. Our group had a great experience. We had a lovely time with our family in this large 3 bedroom condo with two full baths (one off the common areas and one in the master bedroom.) 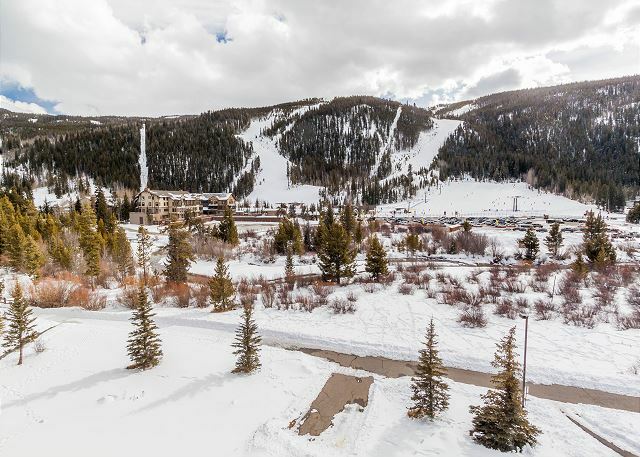 The condo was clean and very well equipped with views of ski runs. It is an easy walk to the River Run area along creekside paths. Also an easy walk to many restaurants. The underground parking was so convenient with an elevator equipped with luggage carts to make the trek to the condo with luggage very easy. This condo really surprised me. The photos don’t do it justice. The ceiling is vaulted making the until feel bigger than it is and it had plenty of space to accommodate our group of 7 adults and 2 kids. 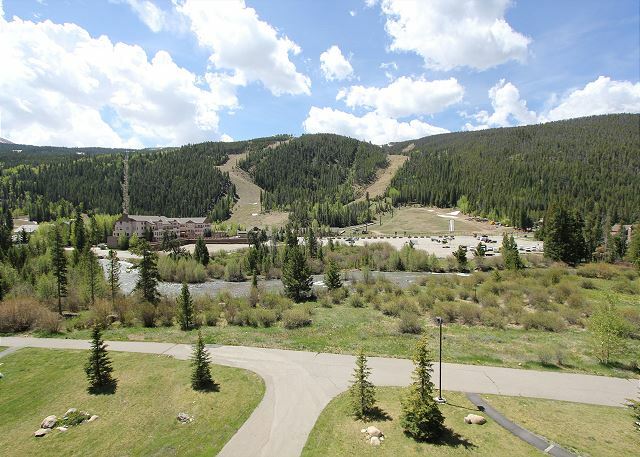 The location is so convenient for ski access and the ski school. Would definitely rent the unit again. This place was perfect with 3 generations getting together to celebrate the Thanksgiving Holiday. There was a nice walking path behind the condo that took you into the village in a nice 15 minute walk. The buses will pick you up close if you choose not to walk. We really enjoyed the views from this top floor condo. The only suggestion I would make to the owner is to put some under cabinet lighting in the kitchen to illuminate the countertop, as the lights on the vaulted ceiling are sort of dim and far away for trying to chop/cook a large meal. We wamted to get away from everything, so a 3 day stay in this nice condo was perfect. Condo was clean & in good condition. Very quiet with good view of ski slopes & the Snake River. Not a lot of places to eat so mostly went to Silverthorne & Dillon. Would consider staying here again during the summer but definetely not during ski season. Had a couple issues with TV's & maintenance was there very quickly. One TV was shot so a new one was in order but we were leaving the next morning, so worked out ok.
We loved the location and the setup of the condo. We are re-booking next year again! We stayed as a family and had plenty of space. The location was wonderful. The condo was very clean. The only thing that was lacking was pots and pans. They had a few skillets and one small pot. I brought my son and mom to Keystone, mainly so my so my son could ski and my mom and I could take in the sights and enjoy some quiet time. The condo was steps away from the lift so my son could walk over in the morning and come back for lunch. Mom and I enjoyed the sounds of the stream and seeing the local moose right off our deck. The condo was roomy and had plenty of kitchen essentials to cook meals and the views were spectacular! Property just fine; priced right. We enjoyed the condo. No frills but priced right. Loved the commodity of the property, location and specially it had 2 parking on the covered garage; it was very useful due to the storms we had those days, who would like to go back in the spring to see better the snow river even that we were impressed it was frozen. The only thing I was a little disappointed was with the master jacuzzi. It look dirty, but overall all the apartment was in great condition. We had a great time at the condo! We wish we could have had an earlier check in time, but it was not available. The condo was clean, but in one of the bedrooms, the closet door was off and there was one pair of dirty socks in the condo when we arrived. We also went down to use the hot tubs and both of them were cold! It looks like during the summer only one is warm, but both were cold, so that was a bummer. Overall though, our stay was very nice. Very nice top floor place. Keystone was closed (late April), so we had the lodge to ourselves, basically. Great views of the slopes. From the deck, we truly enjoyed hearing and seeing the Snake River, just below. The condo itself was plenty spacious, well cared for and adequately equipped. We could tell that the cleaning crew was conscientious. That was much appreciated. Underground parking is also a plus. The only slight criticism is that some of the furniture and deck were a bit worn, but that had no impact on the fine time we had here. We would stay here again in a heartbeat. Thanks! We had a great week in Keystone! Location was great even though not in the bus route. Easy in and out! Condo was clean and had everything we needed to cook. Very clean! The space accommodation was great, and the proximity to the slopes excellent. We had to ask maintenance to fix the lights. A number of them were out. The tile floor was sticky and I had to mop. The knives were dull. We couldn't use them, and the oven temp was not accurate. It needs to be cleaned. Views were terrific! The location was great! We were within walking distance to Keystone resort. The property was clean and had everything we needed to have a relaxing stay. Communication from Summit County Mountain Retreats was amazing. We knew exactly where to go and how to check-in to our rental. Definitely recommend this place to anyone look for a place to stay. Plenty of room and plenty of amenities. We stayed here for 3 days of skiing. No complaints. We liked the location and the easy walk to the Mountain House base area at Keystone. The only issue we had was a few light bulbs burned out over the mirror in the master bedroom's bathroom. 2 were out, 2 were working, no big deal. We didn't report it (4 fifty something guys). I recommend this rental. 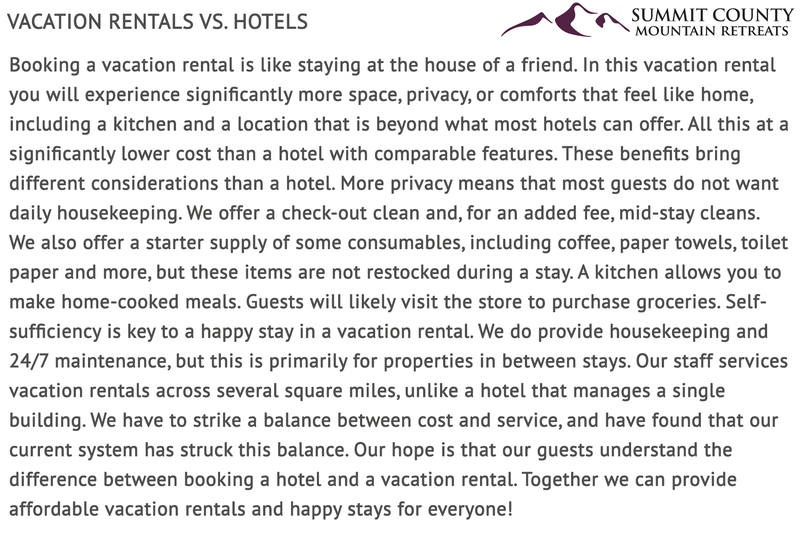 Summit County Mountain Retreats gets an A from my perspective. Process of paying and other communications (like checkin instructions) went like clockwork. Overall a very good experience. Management company was excellent (new app---very helpful!! ) 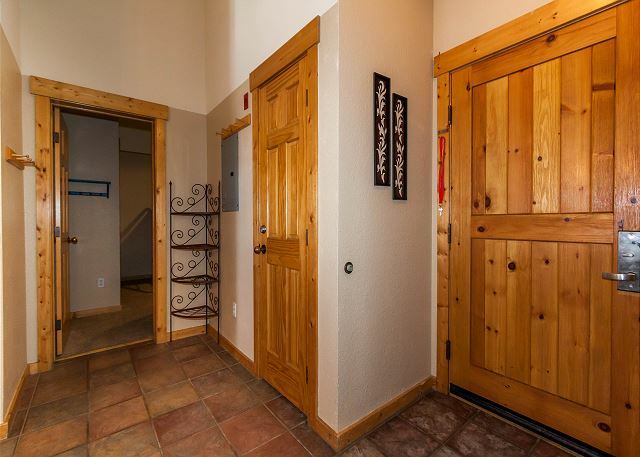 Great location, very clean, ski locker outside front door, everything that you need for cooking. Our only complaint was that the couch is older and not at all comfortable. Great place for the 5 of us to spend a skiing weekend. Would be a bit of a walk for anyone with kids, but for us (ages 18-55) we did just fine. 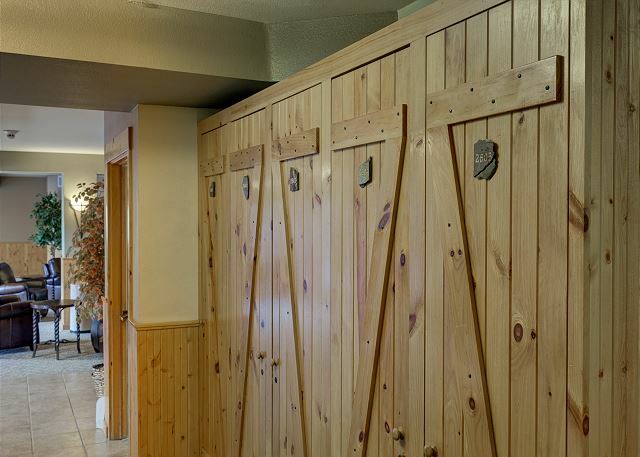 Ski locker was great and the unit was very clean and accommodating. Would likely be a tight squeeze for 11, but for us it was great. Only loss of star is 5 light bulbs were burnt out so it was a little dim, and the dish washer was having trouble draining. Fully stocked cabinets with plenty of cooking gear and humidifiers available in each room was a plus! Would recommend to others and would stay again! Keys didn't work when we arrived, so we stood around outside for 30 minutes with all our luggage while they replaced them, but they were helpful and trying hard. Lighting inside the condo is very poor, especially in bedrooms. Bring a book light if you like to read in bed. Location was great though so I would stay here again. We are very sorry you had a problem with your keys. We are working with the owner to improve the lighting. We had an excellent weekend in this Condo. The bedrooms are very spacious and comfortable! The kitchen had everything we needed. And the view from the balcony is just amazing! Loved the condo - very comfortable for 3 biz partners - everything we needed was there! Wifi was great (important to us!) and easy location. Was easy to get keys, and great underground parking for super easy load/unload of stuff (especially since it was raining!). Awesome stay in Keystone. We enjoyed our stay very, very much. The condo was beautiful. There were a few minor fix ups to be done, but nothing that made our stay less than wonderful. The location was perfect. We enjoyed the Summit County area and Keystone is within just a few minutes of it all. We also spent one day at River Run Village which was a very nice surprise. The condo itsself lived up to all of our expectations and felt like home. i would recommend buying groceries in Dillon, Silverthorne or Frisco as the groceries in Keystone are limited. Beautiful view from the balcony! Yes we would recommend this property As well as be back again ourselves. Comfortable, spacious, clean... We were a family of five, and we stayed for three nights. There was plenty of room for everyone to stretch out and relax. Having a full kitchen at our disposal was great. We had an issue with the fireplace not working when we first arrived, so we called maintenance, who gave us step by step instructions on how to get it working. The grill on the deck had seen better days and a couple of lamps didn't work, but aside from those minor details, everything was in great shape. We wouldn't hesitate to stay here again! This place was great! The location is good because it's walking distance to nightlife. Also ithe view is amazing! You are almost on the ski hill. The place has a lot of room so it's perfect for having multiple people. Would stay here again! We stayed as a group of 10 and had plenty of space and the lodge is centrally located so that we didn't have any problems finding things to do. This was a great condo for our family get-away (five adults and two little kids). The place was well equipped. There are elevators from the parking garage, so it was easy to bring in our luggage and supplies. 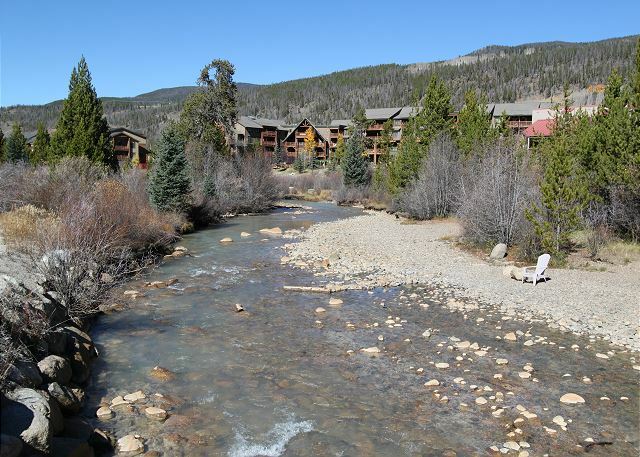 We enjoyed activities in Keystone Village and did some fishing in the surrounding area. Perfect! Everything went smoothly and the condo was nice. My kids and I really enjoyed our time in Colorado. 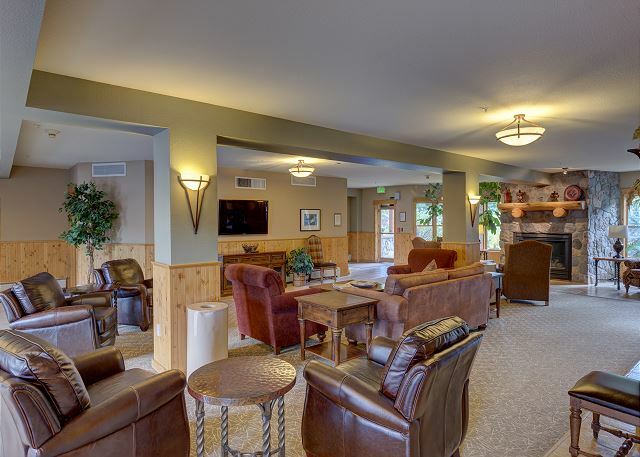 The Tenderfoot Lodge was very nice. Our place was very clean,nicely updated, and the kitchen was well equiped. Plenty of room to spread out and the view of the Snake River and the mountains were great out on the deck. Super time to relax and just enjoy. I really liked how it was close to so many things(stores,restraunts,hiking,biking,fishing) and yet felt tucked away. My favorite was being close to Loveland pass because it was beautiful up there. We had a great time and would certainly recommend staying here. Wished I had brought my bike, but a good place to rent across the road. Would recommend going hiking at Lower Cataract Lake down by Green Mountain Reservoir. Condo fit my family's needs. Convient to everything we wanted to do. Loved the stream and bike / walking trail next to the condo.My only complaint... Condo slept 11 was great but not enough sheets. Need to use hideabed but there were no sheets to put on it. The condo was spacious and clean, with three bedrooms and two nice bathrooms. The stacked washer and dryer was convenient, although the dryer took a couple of cycles to dry at times. Plenty of seating with two kitchen tables and a living room area with a huge tv. The deck view of the ski slopes and snake river, but look right and left, you will see the mountain views. 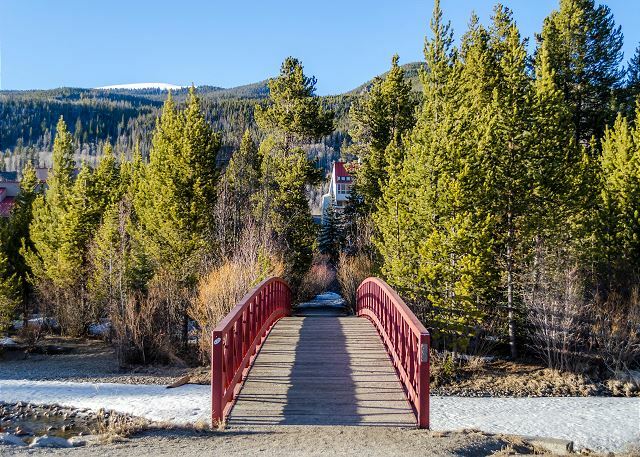 The location isn't too far from Silverthorne or Dillon to drive for groceries and river run is just a couple of miles down the road. We loved the location, although the elevator was a little bumpy at times. The deck rail was a little wobbly but hopefully, that will be fixed. The price was awesome for a family vacation. There was every dish and utensil you could hope for in the kitchen, except for a potato peeler. We would stay there again. 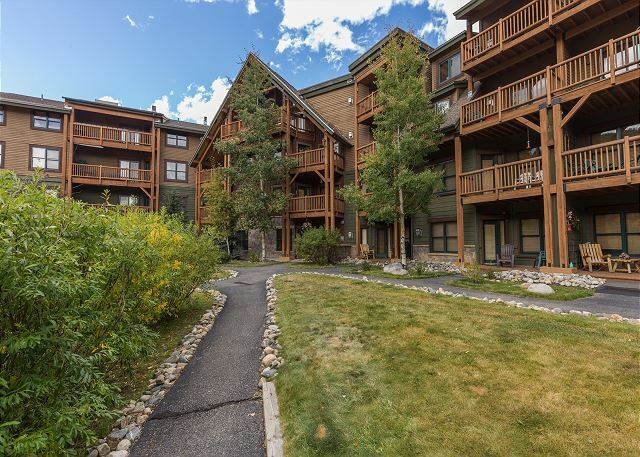 Our family of 6 had a great mountain vacation because of this condo. It was clean and spacious. The kitchen and laundry was a huge help in making the week perfect. The beds were comfortable. The views are incredible! The mountains were beautiful as we watched the snow melt and things turn green by the end of the week. Falling asleep to the sound of the river was priceless. Something we miss already! 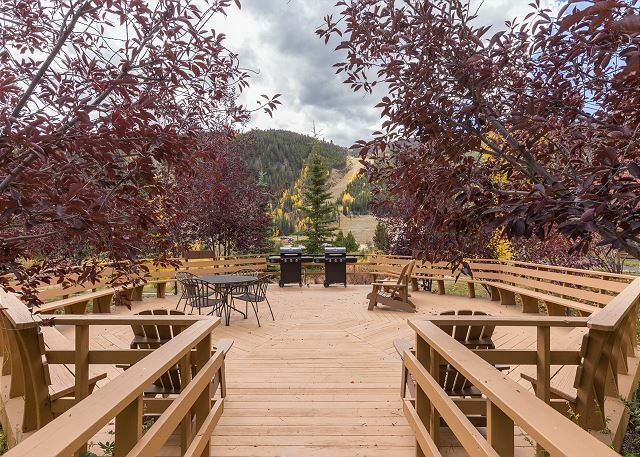 The location was perfect as it was an easy drive to Dillon, Frisco, and Brekenridge. The covered parking garage was very nice to have. We would highly recommend this condo and hope to be back soon! Good time all around. Clean, convenient, and the staff were straight forward. Facility came exactly as expected. Full recommend this property. The place was well stocked with anything we might need, and the location was ideal. Just a short walk to the lifts. 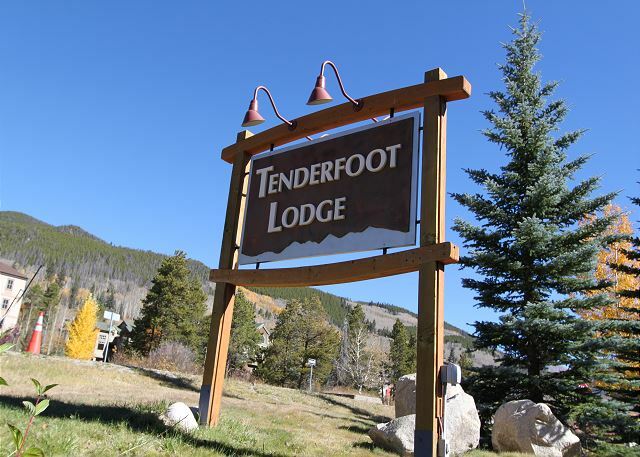 We were very pleased with our stay at Tenderfoot Lodge. We could see the slopes from our balcony and it was an easy walk to the lifts. The beds were comfortable and we loved the heated garage for parking. The price couldn't be beat and we had an amazing vacation! Thank you so much!!! Every time I had a question or called the people I talked with were always so helpful. Loved the condo and the location, could see slopes from balcony. Awesome, would use again! the property was beautiful and well equipped. Our only disappointment was that there was no night skiing. we wish we could have stayed longer. The condo was great and overall I enjoyed my stay. The location was perfect and the condo was just as described. The only negative I can think of was there were some very minor upkeep issues, but nothing that truly impacted our stay. I would definitely recommend this condo. Thank you for staying with Summit County Mountain Retreats. We used this condo for a week-long stay in July. We had eight people for some of the week and were very comfortable. I especially enjoyed early mornings on the 4th floor deck. We would definitely consider using this rental in the future. Everything was great! Bathroom and kitchen rugs could be cleaner or replaced. 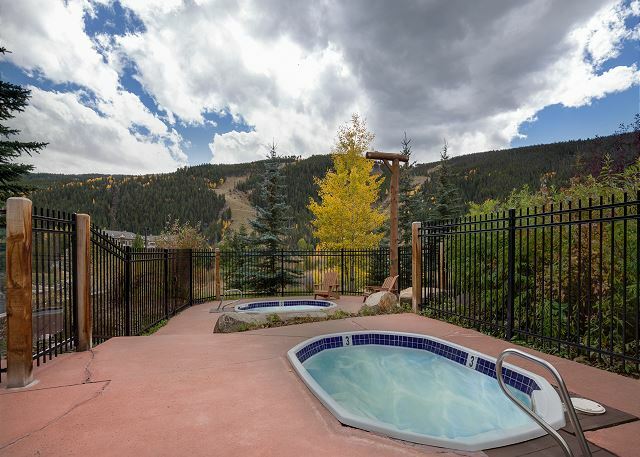 The condo has a lovely slopeside view and was comfortably appointed for our party of 9 with plenty of towels, fresh linens and kitchen essentials. A much appreciated amenity was the large wagons that were readily available to ferry our equipment slope-side. The wagons made the 5-10 minute walk quite doable, even for our 7-year-old. Where this condo could have done better was maintenance. On one hand, the property manager was responsive to a backed-up kitchen sink and resolved the issue within an hour. On the other hand, one of the bathtubs did not drain (an issue that should have been discovered when the tub was cleaned). The property manager attempted to resolve the issue in a timely manner, but couldn't so they called in a plumber. It took a day for the plumber to arrive, and when they did, the left the bathroom floor muddy. Even though this place is RIGHT ON the highway, one would never know it! Very well soundproofed and I liked it better than the River Run because there was a lot more room there.Well equipped kitchen, Grandchildren Loved the bunk room! The condo had a well equipped kitchen. The beds were comfortable. Overall it was clean and comfortable. The only thing we needed that was not available was extra sheets and blankets for the sofa sleeper. The heat was set to high and we weren't able to adjust it. So, we had to crack windows to be to comfortable. Our family had a great stay. Thank you. Great value and simple process. Things went as smoothly as possible.